Generously seasoned with salt, freshly ground black pepper, onion powder and garlic powder, then into the hot skillet they went. They came out slightly crispy around the fat edge, just like I like them, and he served with Herbed Garlic Butter. 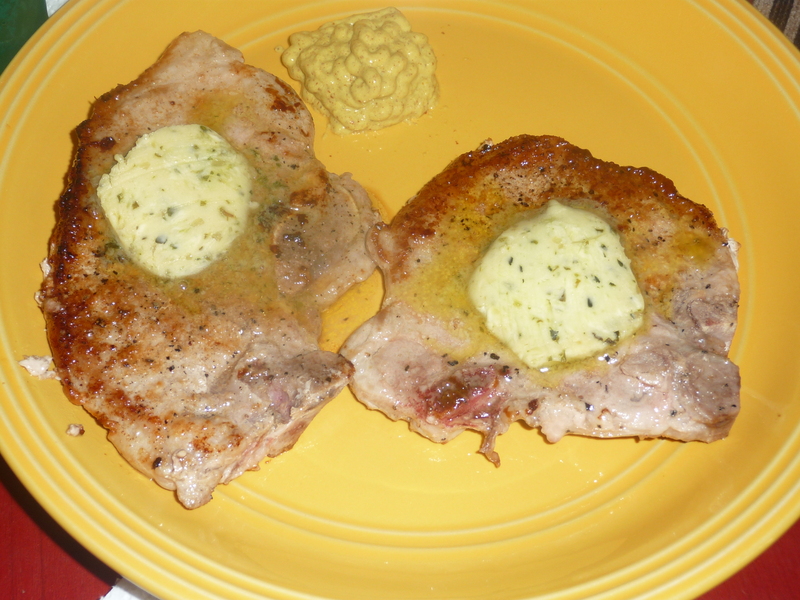 And, yes, we’re still working on the Herbed Garlic Butter I made last week for those t-bone steaks. That’s the beauty of making more than you need for one meal…it’s ready to go on whatever you want to put it on. And, when it comes to meat, I can’t think of anything it wouldn’t make taste even better. Not to mention bumping up good fat intake!